On “South Park,” Cartman learns that alien probes are no laughing matter — or are they? CAMBRIDGE, Mass. — Those embarrassing alien probes you’ve heard so much about serve no legitimate scientific purpose whatsoever — and are conducted purely for kicks, a startling new university study reveals. “Extraterrestrials first began visiting our planet in the late 1940s,” explains Robert S. Tangeman, PhD, lead author of the 68-page report. “Their technology is hundreds of years more advanced than anything we possess, as evidenced by their achievement of interstellar flight. “Most likely, they learned everything there is to know about human anatomy within the first four months of their arrival. At the absolute latest, by 1951 their sophisticated scanners had mapped the entire human digestive tract from end to end. Researchers from the five top universities that participated in the study interviewed 2,506 people who claimed to have been abducted between 1972 and 2010. Though many subjects were initially reluctant to discuss the nitty-gritty details of their alien examination ordeals, a disturbing pattern quickly emerged: Abductees heard strange sounds that sounded distinctly like laughter during the probes. A typical case is the account of subject Fred B., a husky 45-year-old truck driver from Abilene, Texas. “When I woke up in this round white room, stark naked and strapped face down over a table, I was terrified,” he told the researchers. “The room was full of weird-looking scientific equipment and there were three little gray men with giant foreheads and black eyes moving around the room. “I heard this loud humming sound and when I looked over my shoulder, I saw a strange, hose-like thing with a flashing light on the end swimming through the air toward me — making a beeline for my keister. But midway through the grueling 10-minute check, Fred got an unpleasant surprise. “I heard this high-pitched tittering sound coming from behind me. At first I thought it was my imagination, but then I heard it again, louder — and all three of them were doing it. The SOBs were laughing hysterically at me! Highly respected writer Whitley Strieber gave a chilling true account of his alien-probe ordeal. 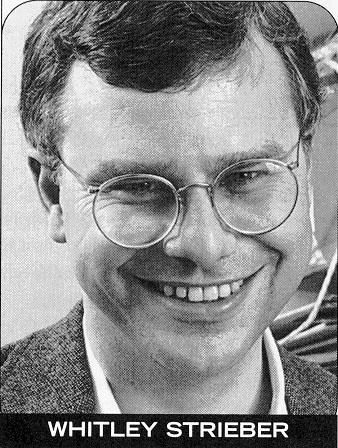 Few abductees were willing to discuss the humiliating exams until 1987, when highly respected writer Whitley Strieber detailed his shocking rectal probe by 4-foot-tall, insect-like aliens in his groundbreaking non-fiction book Communion. Since then, hundreds of men and women from around the world have come forward with their own harrowing tales of invasive probes of their most intimate areas. “When we began our study, I was convinced that the ‘tittering’ sound must actually be some form of language,” said Tangeman. “But we have eyewitness accounts of aliens elbowing each other and literally laughing until they cried. “There’s really no doubt that the aliens perform these probes because they think our reactions are funny. C. Michael Forsyth’s novel Hour of the Beast is “gripping and fast-paced,” critics say. 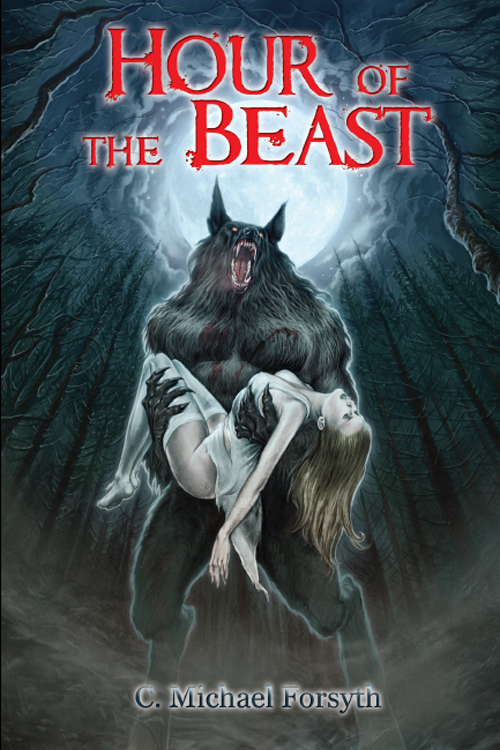 TO CHECK OUT HOUR OF THE BEAST, CHECK HERE.